Everyone seems to LOVE these simple, black and white scissor projects. They are one of the most downloaded freebies on the website right now. Here is the color cut glue for December. It includes three black and white activity pages to practice coloring, cutting out simple shapes, planning out where to glue the pieces (the trickiest part) and then glue the shapes together to create the December themed pictures: ornament, tree, and holiday bell. Just print and it is all set to go. Remember to get your free copy sign up for our email newsletter at the bottom of the post. If you need more activities that require cutting, pasting and sequencing, check out Cut, Sequence, Paste and Draw Holiday edition. 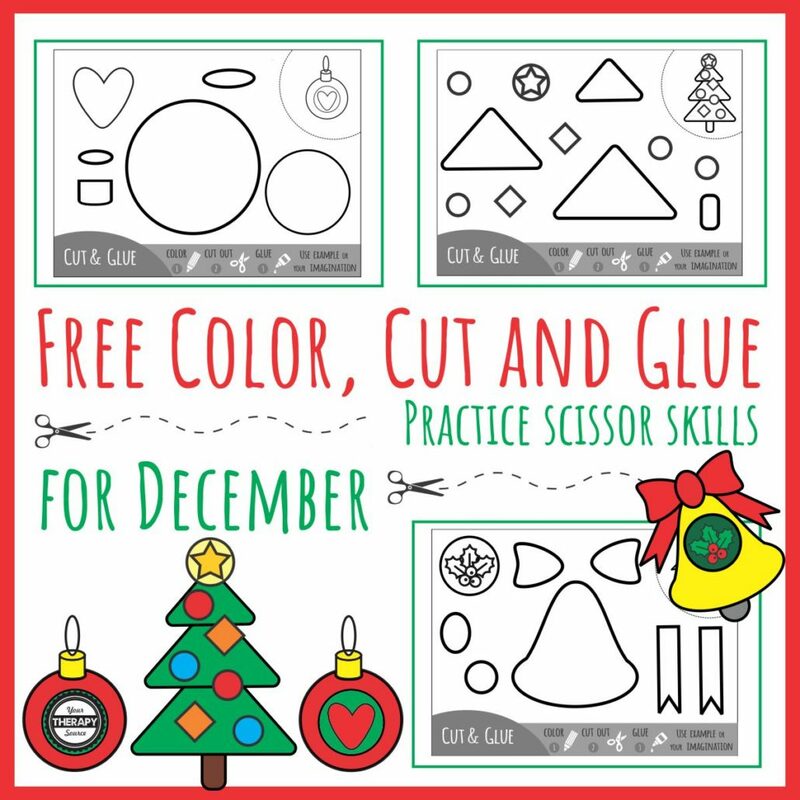 If you need fine motor, gross motor, AND visual motor activities, check out this December Packet. Less Affected Hand in Unilateral Cerebral Palsy Cyber Week Deals and Happy Thanksgiving!